In Kerala, the Red Fish Curry (or Meen Curry – Meen meaning Fish) goes with Kappa / Tapioca almost by default. From Amoomas (grandmothers) at home, to small Kallu shaap (toddy shop) owners on the roadside, all serve a steaming plate of spicy red fish curry with this tapioca preparation on the side. Not to mention, I love this combination and my mouth starts to water at the mention of it. 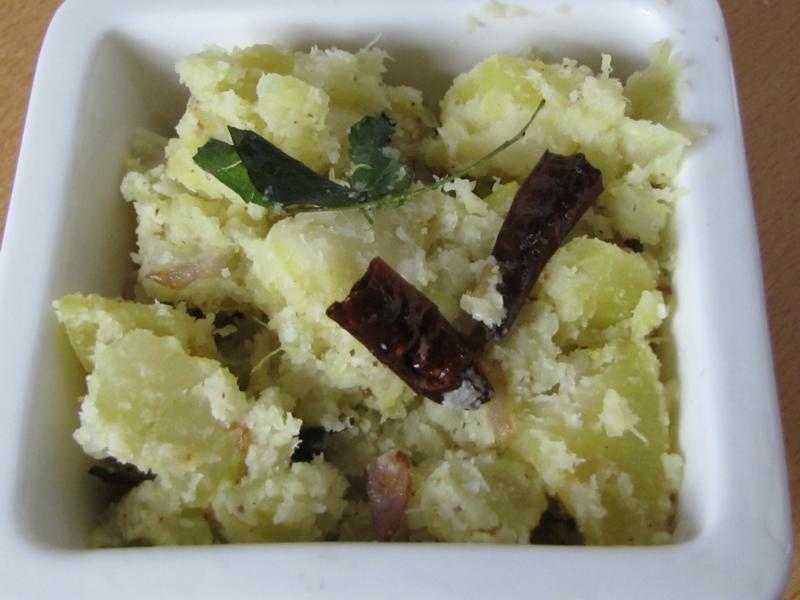 Kappa is quite high in starch content and can make you feel bloated. Definitely not a combination for the feint hearted (the spicy fish curry is known to bring tears in your eyes)! So I made kappa the other day with the red fish curry. I was too stuffed after eating it to blog both the recipes. Managed the fish curry… and had to keep this for later…Also, been quite busy with more food exploration and my little one – as she is on summer vacation now. Right now, writing this recipe makes me want to have more of it… I am hungry now! 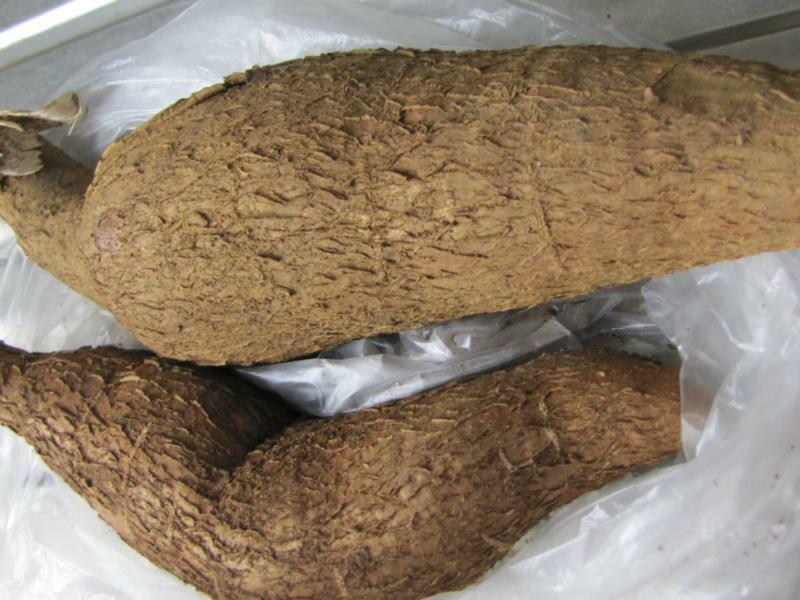 Tapioca can be bought at most supermarkets. Since it is a root, it stays for many days if stored in a dry place. 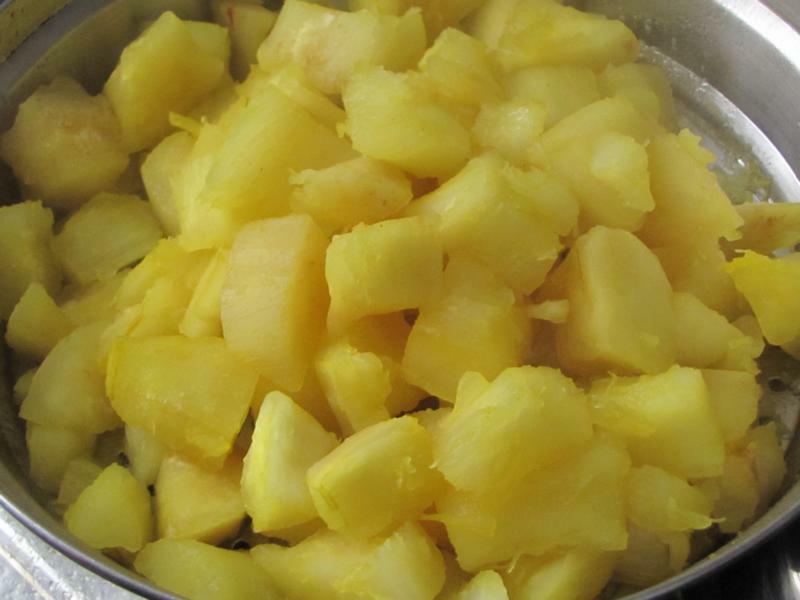 Peel the thick brown skin off and cut it into medium sized cubes. This is cooked in plenty of water with salt and turmeric powder which not only cleans any toxins but also gives it a nice yellow colour. I have heard and observed that the Tapioca we get here in Dubai (that usually comes from Srilanka or Oman) tastes better and takes shorter time to cook. When the Kappa is soft, drain all the water and keep aside. Don’t overcook or it will be very mushy when you mix it with the spices. 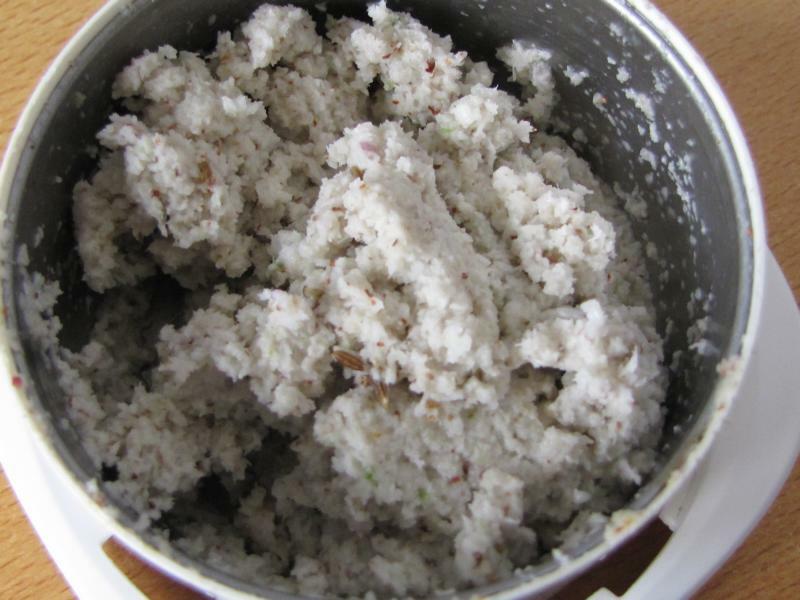 Grind coconut, green chili, garlic, small onions / shallots and cumin seeds to a coarse paste. This paste is mixed with the cooked Tapioca. Keep this mixture aside while you prepare the tempering. 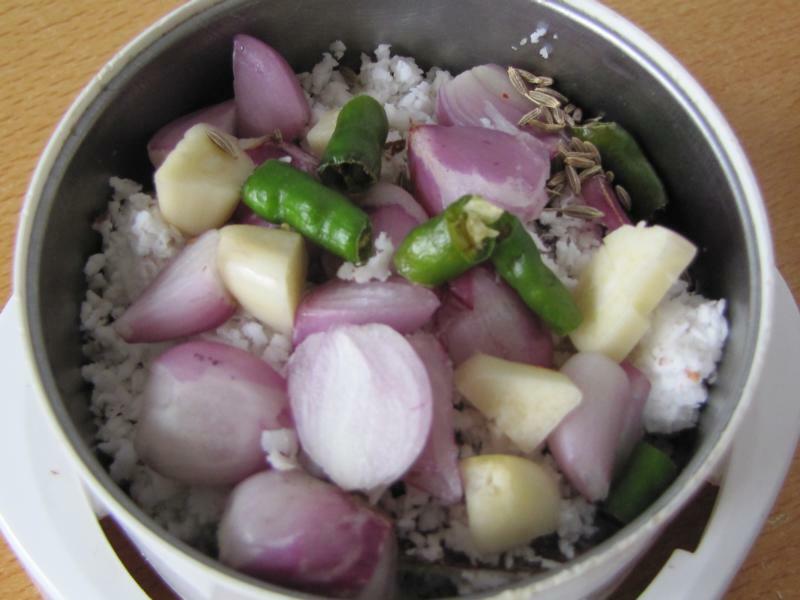 As you know by now, I love cooking in coconut oil especially the Kerala recipes. 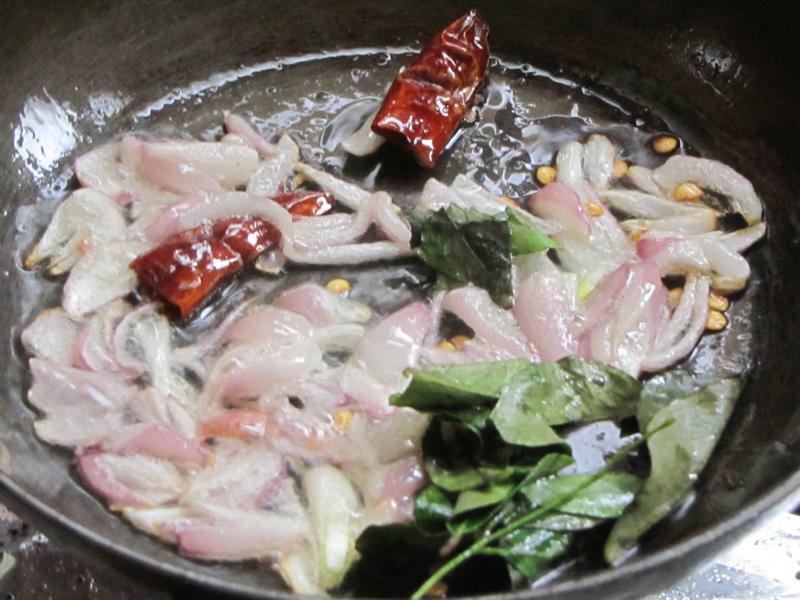 Some more shallots are fried with curry leaves and red whole chili in coconut oil. Pour it over the prepared tapioca and mix lightly. Enjoy it with the spicy Red Fish Curry. 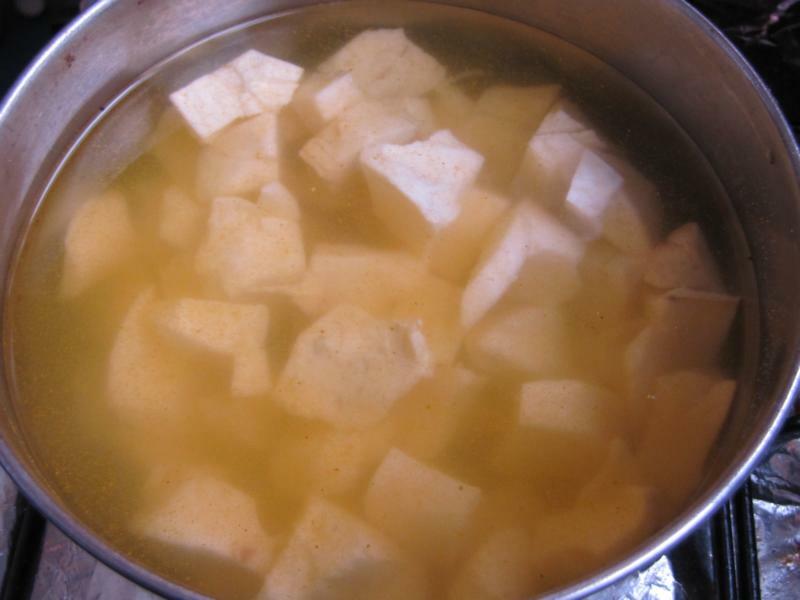 Boil the tapioca in plenty of water with the turmeric powder and salt and cook till tender. Meanwhile, grind the ingredients listed under to grind to a coarse paste. When the Tapioca is tender, drain the water and mix the coconut paste with the kappa and keep aside. 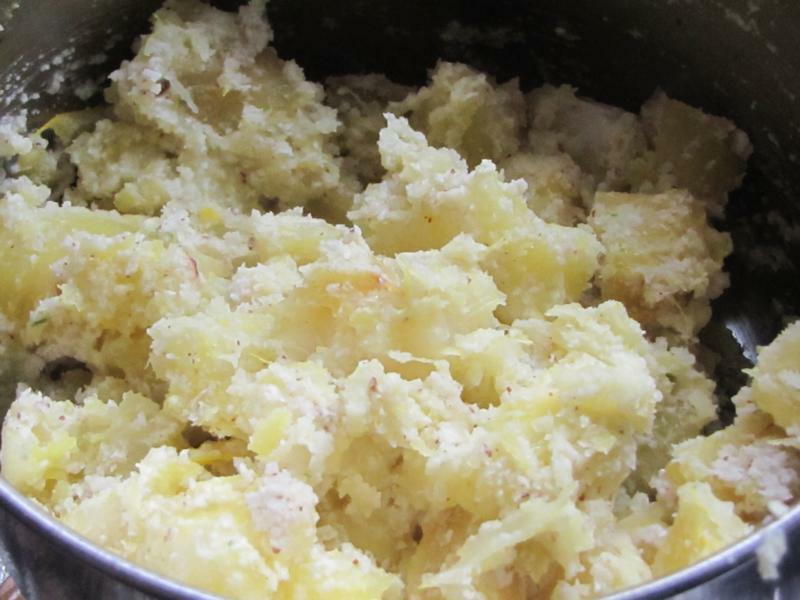 For the tempering, heat the coconut oil and fry the ingredients for tempering until the onions are golden brown. Pour this over the kappa mix. Serve hot with the spicy Red Fish curry. Also great on its own.